If your business is based in the European Union (EU), or you process the personal data of individuals in the EU, the General Data Protection Regulation (GDPR) affects you. When relying on consent as your legal basis for processing, the GDPR says the consent you obtain must be freely given, specific, informed, and unambiguous. You also must clearly explain how you plan to use their personal data. We’ve updated our form options to help you stay compliant with this law. 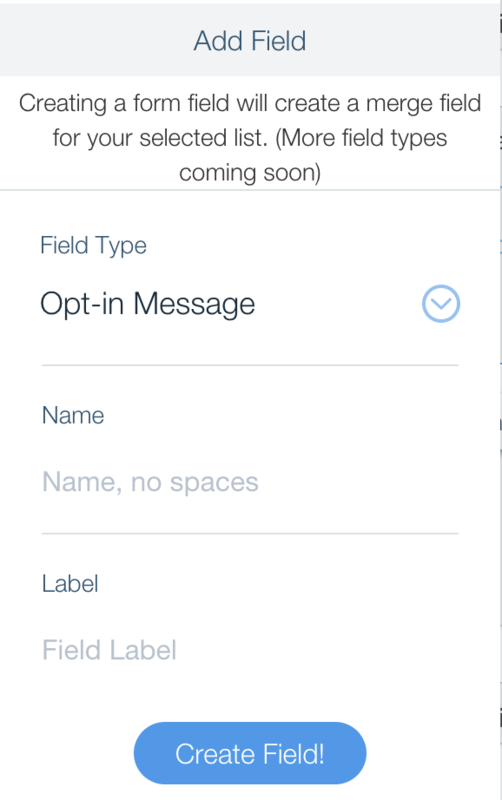 Our optional, additional fields include checkboxes (Mailchimp groups) for opt-in consent, and editable opt-in messages that can help you explain how and why you are collecting data. In this guide, you’ll see how additional fields can help you comply with the GDPR. "You agree that [organisation name] may collect, use and disclose your personal data provided in this form, for sending marketing materials that you have agreed to receive, in accordance with our data protection policy. You may unsubscribe from this list at any time." 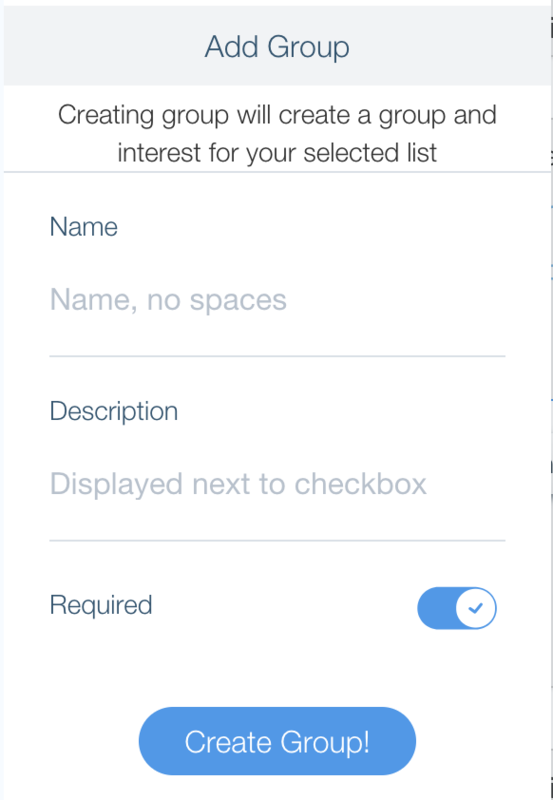 That is it, you may click "Add Field"
Each checkbox represents a Mailchimp group. New subscribers that check the checkbox will be added to that group. "I would like to receive email updates and marketing materials from Company.com"
That is it, you may click "Add Group"
Now that everything is setup you may wish to see your newly created Mailchimp group and later see all subscribers added to it. Now click "Manage contacts" and then "Groups"
If you added a checkbox you will see your created group, if you click "View Groups" you will see how many contact are in that group.